Today is the 86th anniversary of Glenn Gould’s birth and the first ever Glenn Gould Day in Toronto. To mark this occasion, The Glenn Gould Foundation has some very special news to share. In the early days of the Great Depression, Susanne and Heather’s parents Pearl and Lou Morton became friends with Bert and Florence Gould, spending many happy hours with them at their home at 32 Southwood Drive in Toronto, and occasionally their cottage at Uptergrove, Ontario (now in Orillia). By the time Susanne and Heather came along, the two families’ connection was well-established. It was Lou Morton who regularly came to Bert Gould’s aid in loading the family piano onto a trailer for many weekend cottage trips – because Glenn wouldn’t leave without it. And it’s on this very piano that Glenn’s mother Florence gave him his earliest lessons, still sitting on her lap. Young Susanne was also later one of her students, and in 1955 the Mortons purchased the piano to continue lessons she began with Florence Gould. This symbol of family friendship, and Glenn’s childhood piano, is a circa 1915 upright from the Dominion piano company of Bowmanville. Like many distinguished builders of pianos and pump organs, the Dominion company suffered greatly from the double blow of the Depression and the advent of radio and phonograph records as the primary home entertainment. Established in 1870, it shut its doors in 1936. 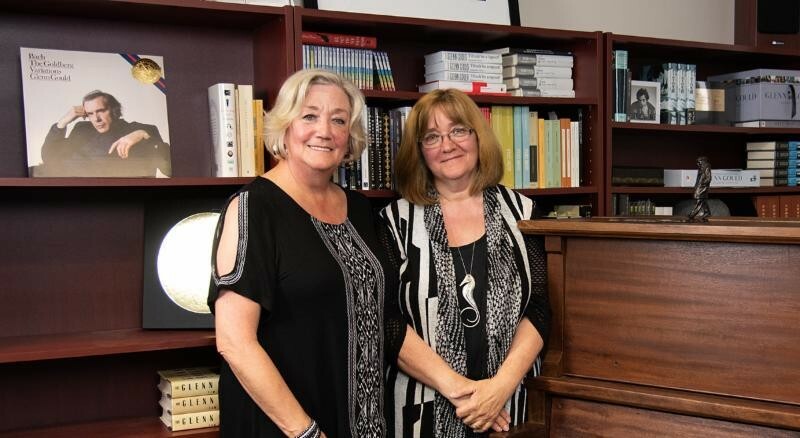 The Glenn Gould Foundation is truly grateful to Susanne for donating this precious piece of the Glenn Gould story, which bears a warm dedication on the piano’s plate from the 23-year-old musician.